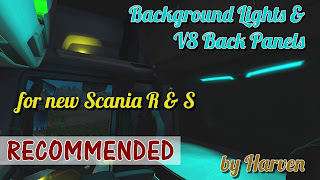 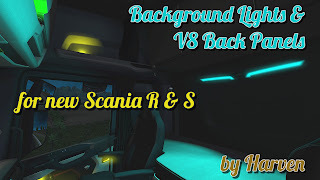 This mod adds few more variants of background lights colors to your new Scania S and R. It also add few different color variants of the v8 back panel. 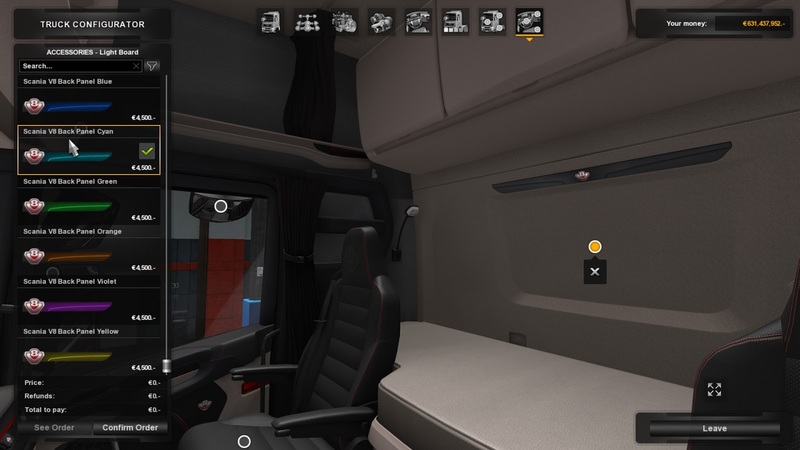 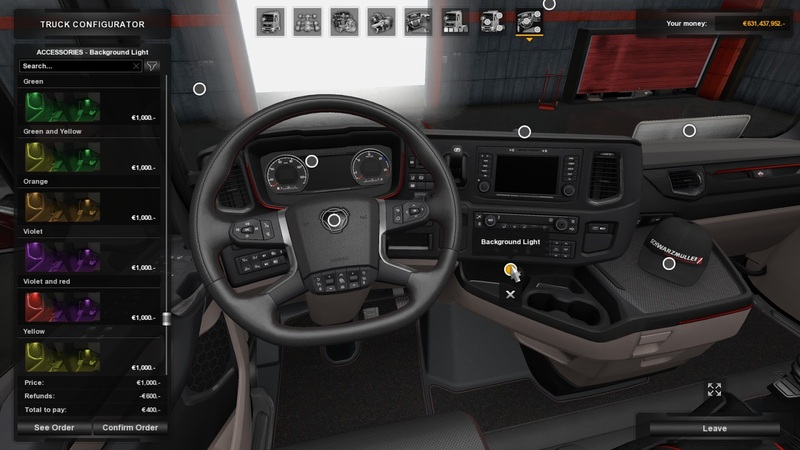 It is only compatible with the new SCS Scania. 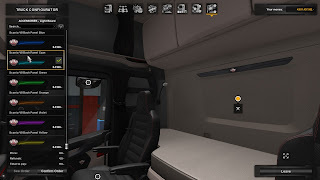  This mod will not work in multiplayer.